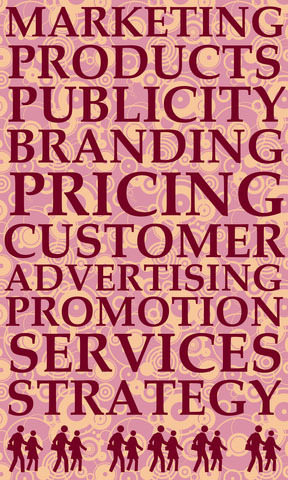 Understanding your Brand/Business – What business are you really in? Your brand – are you clear what your business is and what it’s not? This may seem like a strange question to ask business owners, of course your clear on what your business is, right? If I asked your managers, admin team, sales people and receptionist would they all give me the same answer within a few seconds? ‘I am in the business to help people fall in love with their home all over again’! Tangible messages– Examples include names, icons, logos, strap-lines, design of anything tangible, even design of the environment your customers walk into, direct mail, event sponsorship, packaging, colour schemes and so on. Intangible messages– These are the emotions and values conveyed by the brand or the brand’s ethos. Clarity – They should be clear, easy to understand and meaningful to your customers. Congruence – They should be in Harmony with the reality of the product. Consistency – Customers must be able to depend on your brand to deliver the same experience every time. Because your customers experience your values through your brand, the only way they’ll truly become loyal to you is through your dedication and consistency. Constancy – They should be communicated to the target market regularly. Remember the essence of a brand lies not simply in the messages given out, but in the way those messages are PERCEIVED by others. The strength of any brand is in the relationship, the more business you’ll do, and the more likely it is that customers will refer you to their friends and associates. What don’t you like about the company? What do you think the company’s main message is to its customers? Three words that best describe the company? You might not like some of the answers, you have to be prepared for that. But this is an empowering process, really understanding your business and what you communicate gives you the power to create a clear, concise message which your staff and customers buy into!